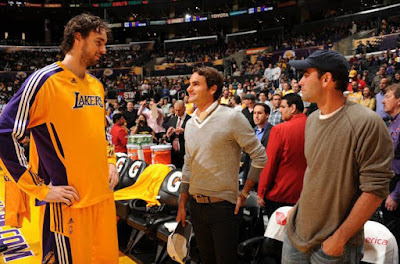 Pete Sampras has been seen hanging out with Roger Federer lately, from practice court to basketball match. 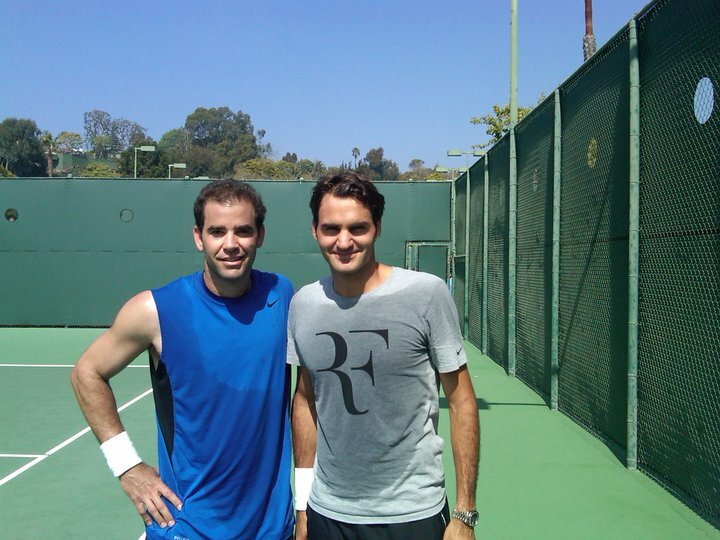 Federer recently posted a photo of them together after practice on his Facebook fanpage. After that, they were seen at the Charlotte Bobcats vs LA Lakers basketball match and managed to say hi to Lakers' big man Pau Gasol. You can get our complete ccda exam pass resources including our latest 642-813 and SY0-301 training courses. testking ccie and 70-640 dumps are also playing vital role in IT world. With a golden award in hands, smiling ear to ear, Li Na definitely looks like a big winner that night. Recently she was honoured with the first "Hero" award in Beijing for her outstanding contribution in tennis by China based 'World Tennis' magazine. Here's a series of classy photos of Roger Federer captured by world-famous fashion and royalty photographer Mario Testino. This is Credit Suisse's second major advertising photo shoot with Federer. According to Credit Suisse website, the idea behind the ad campaign is to portray the tennis star and his life as authentically as possible – and far away from the world's center courts. The images of the campaign will suit its slogan: "Helping Roger Federer Relax Since 1981." 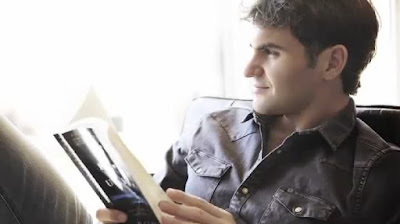 That's because in 1981, only a few weeks after he was born, parents Lynette and Robert Federer opened Roger's first savings account with the forerunner of today's Credit Suisse. Click here to check out the behind-the-scene video. Former Thai pro tennis star Paradorn Srichaphan and beauty queen wife Natalie Glebova are calling it quit after three years of marriage. The couple said in a statement last week that they decided to split last July because work commitments had kept them apart. The former world no.9 ranked tennis player and former Miss Universe have launched beauty products, diet supplements and a Bangkok restaurant together. They said in the statement they planned to continue to do business with one another. 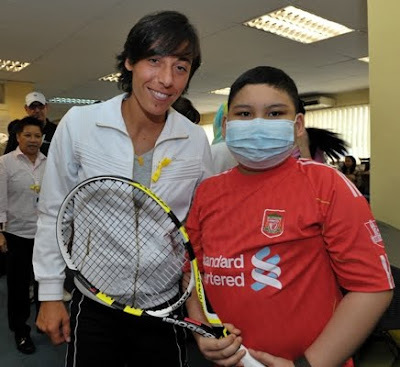 The pair met at the Thailand Open on the ATP Tour in 2006, a year after Glebova was crowned Miss Universe and were married in September 2007, the year that Srichaphan's tennis career ended due to a wrist injury. To read more about their juicy break up story, go to Bangkok Post. If you are looking for fast success in ccent course exams then join today to explore complete SY0-301 resources and pass 70-680 certifications on first try. A person can choose testking ccna & 642-813 dumps for his easiness. Let's say if you're going to attend the Sony Ericsson WTA tennis tournament in Kuala Lumpur this week, remember to check in to "Sony Ericsson Tennis Hotspot" to unlock the XPERIA Tennis Fan badge. There are different hotspots for different venues around the world. To find out tips posted by fans, simply follow Sony Ericsson WTA on Foursquare.